In simple terms, we believe that a better, fairer world is possible – a world in which everyone’s needs are met in a way which is environmentally sustainable, economically responsible and socially inclusive. Wood is an amazing material and is a genuinely renewable resource. A local, wood-based economy can – and must – play a vital role in the transition to this world we want to live in. 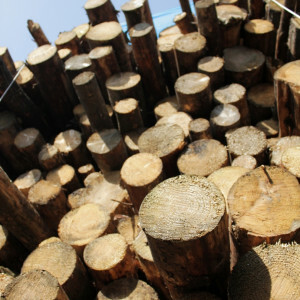 Locally sourced timber, converted into woodfuels and other useful products for the local market, is an efficient and fundamental element of this wood-based economy. Our sourcing strategy and integrated activities allow us to make a positive impact on the region’s waste and carbon emissions. Through our holistic approach, we aim to make the best possible use of our local timber resource, some of which would otherwise not be used in an environmentally efficient manner – i.e. not used to its full potential, becoming a waste, or travelling long distances. We have received various grants in the past, and in order to deliver the TreeStation benefits in the long run, we aim to run it as a financially self-sustaining project.